It can be difficult to identify certains radios in vehicles today as often times the radio model number is not displayed but just the brand name. This makes it hard then to know which car kit is compatible with your particular radio. 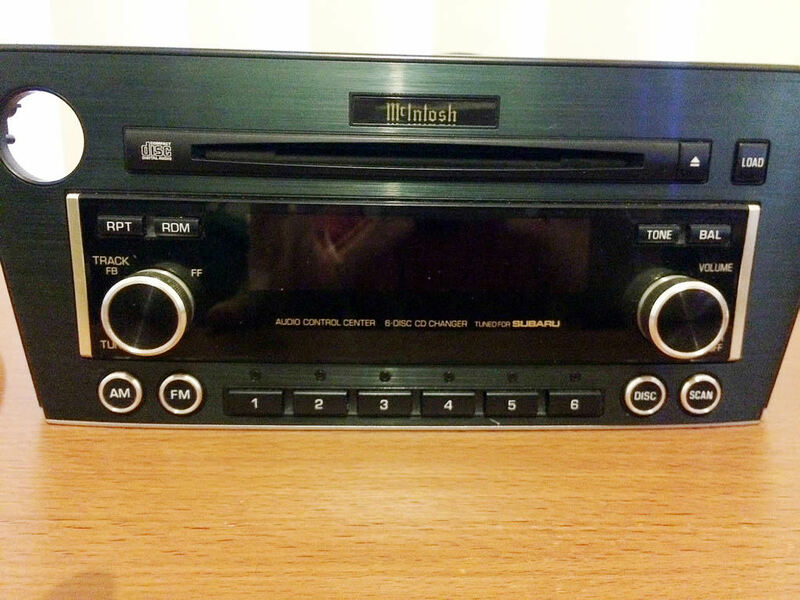 This blog post is primarily for Subaru owners with McIntosh radios. They are infamously difficult to identify (not unless you pull the radio out) except for the brand name “McIntosh aside from this there is little detail on the front of the stereo. So a picture is worth a thousand words. As we collect more pictures we’ll post them here but for starters here are a couple we have that will help you to compare your radio with known model numbers. There are a few generations of PF-28241 radios but as far as we know there is really only a few cosmetic differences between them, if any at all. 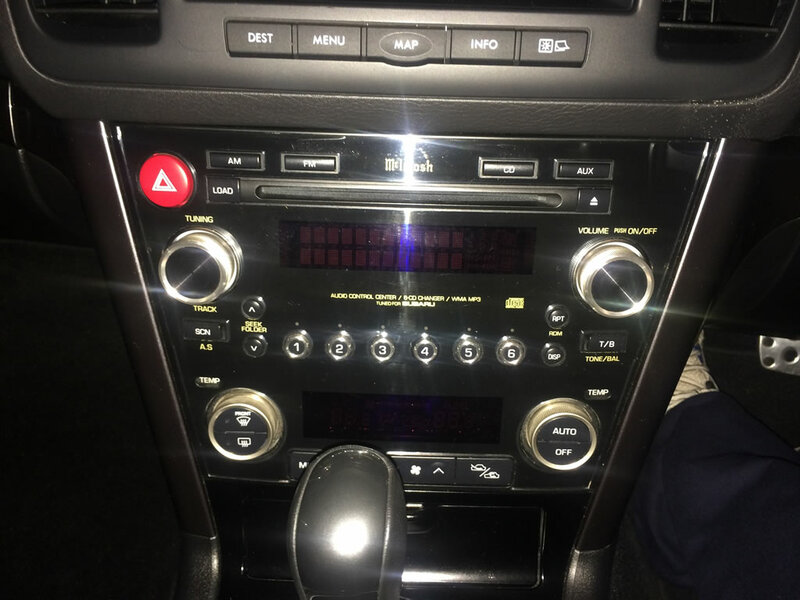 The only way to know the exact GEN model is to look at the label on top of the radio, which is accessible only by pulling out the stereo head unit. These radios are also made in two different locations, China and Japan. This makes a difference in functionality of the GROM unit. If the head unit is made in China then it reportedly works without issue with all GROM units however if the unit is made in Japan then there are known limitations. In our experience the Japanese made PF-28241 will only work with the GROM BT3 car kits. In addition to this the Japanese made PF-28241 will NOT support stereo or steering wheel functionality*. This means that you will need to use the phone or iPod to manually change song tracks and answer phone calls. Apart from this the audio quality is still excellent. *Note: We have one reported exception to this. One customer reports that the “mode” button allows you to answer calls. This is only one reported instance so we can’t guarantee that this is supported across all radios of this type. This hasn’t been reported in the past so it may be it’s working as a result of a newer firmware release. All latest firmware updates can be downloaded for free from GROM Audio’s website. This radio is compatible with the following GROM Audio car kits. This radio is in much the same situation as the Japanese made PF-28241. It has known limitations that prevent the stereo and steering wheel functionality from working. However it the audio quality is still excellent and can be used with the GROM BT3 car kits. Manual control of track changes and phone call handling is all managed through the phone handset directly. There may be other supported Subaru McIntosh radios out there but these will need to be tested. As we complete testing on other McInTosh radio’s we’ll be sure to post them here. If you have a McTosh radio that is not listed here and you would be prepared to test a GROM unit with your stereo then please get in touch with us. ← NewerHow do I know if my BMW has DSP?